This route allows you to cover the highlights of both the North and South Island of New Zealand. There are lots of options for tour variations for people with extra time, starting with Milford Sound. You can enjoy the beautiful drive to Milford with the addition of a couple of nights in Te Anau, or a single night at Milford itself. Alternatively, you can visit Milford with a 20 minute flight from Queenstown. From the beautiful resort town of Queenstown, the route travels via Wanaka up the wild West Coast of the South Island. 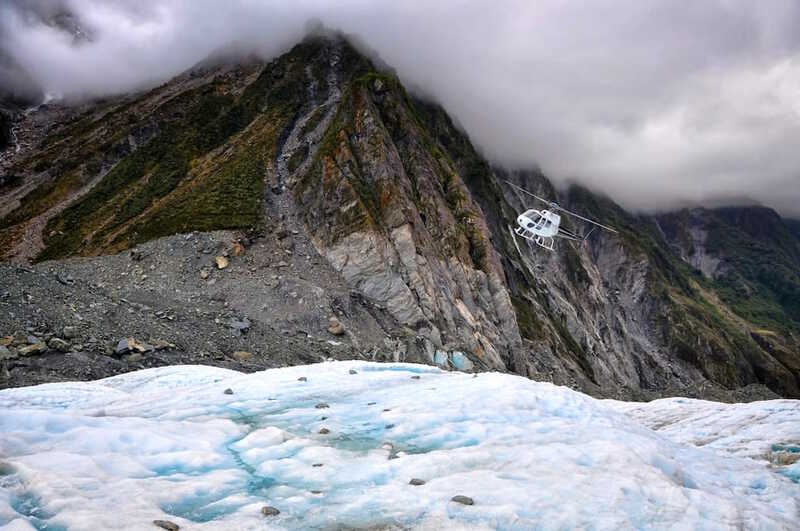 Here, you’ll find some of New Zealand’s most remarkable scenery, including both Fox and Franz Josef Glaciers. Continue over Arthur’s Pass to Christchurch, and onward to the whale watching mecca of Kaikoura. New Zealand’s gorgeous capital city of Wellington is a beautiful, cosmopolitan harbour city well worth an extra night. Continue via Tongariro and ‘Mt Doom’ to the thermal wonderland of Rotorua, where boiling mud, hot pools and luxury spas all await. Finally, stop by Waitomo Caves on the road through to Auckland, known as the ‘City of Sails’ for its stunning waterside setting and abundance of yachts!